With the successes of the global #CannesLions2018 celebrated and the local creative gaze now firmly focused on the Loeries in Durban in a month's time, I caught up with Chris Garbutt of TBWA Global for his views on why it's an exciting time to be a creative, how SA creativity punches above its weight and insights into what it takes for brands in the 21st century to get ahead. Chris Garbutt started his advertising career in SA and is now global chief creative director of TBWA\ Group. I recently had the opportunity to chat exclusively with Chris Garbutt who started his advertising career in SA and is now the global chief creative director of TBWA group. Here, Garbutt shares an overview of the South African advertising industry, from the rainbow nation advertising under Madiba’s rule to hackvertising of today. I’m responsible for the creative product globally of all our offices so I do a lot of travelling. I spend my life on a plane! I'm based in New York but I do a lot of work in Asia, Europe, Africa, the Middle East and South America. What I do is make sure that our global brands are building iconic disruptive work. I’m also involved in business pitches and internal creative workshops across the globe. I do a whole bunch of stuff, it’s exciting. Sounds like a very varied role. Let’s briefly step back in time: You worked at TBWA\Hunt\Lascaris in the 1990s. How has the agency culture changed since then? When I started out at Hunts, it was such a lucky time to be part of this agency as it was a real melting pot of amazing creative directors. I worked with John Hunt, now creative chairman of TBWA\Worldwide, who was just inspiring; Tony Granger, now global CCO at Young & Rubicam New York was here; as was the legendary Sue Anderson. It was a fantastic grounding and acted as a springboard to overseas positions. I moved to Paris after that and worked with TBWA Paris for a long time. From there, I ran Ogilvy Paris and then went over to the States and ended up in the role I’m in now. The agency’s evolving in that it’s much more integrated now, and there's a lot of different types of expertise and specialists baked in, like data analysts, content makers, and designers with Grid – it’s a much more holistic offering than when I worked here, and much more integrated, much more 21st century. What was some of your favourite SA creative work in that time? Great question! I loved all the BMW work we did, like Landspeed was fantastic, some of the Nando's work that I worked on with Sue Anderson was fun. We launched the new South African Airways campaign around then, too. It was a good time, just after Nelson Mandela became president – I was lucky enough to have the right timing and to carry that energy with me wherever I went after that. It's really put me in good stead. Being South African is a huge advantage in the world because we’ve got something. It’s our history. It’s bad and it’s good, and it’s really shaped us. It sure has. As it’s Mandela Month at the moment, with the Mandela centenary celebrated this #CSIMonth, what’s the true perception of South African work overseas? Well, I’ve just come out of Cannes, where I was the president of the Cannes Lions Outdoor and OOH jury, and Africa crushed it. Not only in outdoor but in a lot of other categories. We had TBWA\Hunt\Lascaris winning a Gold Lion for Breaking Ballet, which is such a beautiful piece. We punch above our weight. It’s not logical. We’re on the southern-most tip of Africa, we should be nobody in the world but we’re everybody, and you could really see it in Cannes. A lot of the biggest winners this year were from South African creatives – the stuff from AMVBBDO London that stood out at Cannes also had South African origins. It's great. I'm so proud of being South African and there's something special about being South African, something really creative about it. That’s for sure. Let’s shift focus then to the purpose of your current visit to SA. I always much prefer face-to-face meetings with my creatives. We do a lot of reviews on our big global brands. For example, MTN is a really important brand for us; one of the biggest brands in our collective. It’s good to keep up to speed with the change and evolution of the agency, so I’ve spent a lot of time with Pete Khoury of TBWA\Hunt\Lascaris and with Nathan Reddy from Grid. We go through all the work and talk about the work. We review it together with the team. I also held an afternoon session with the team, where I went over all the insights and themes we pulled out of Cannes Lions with some of the best casework. I'll be doing a roadshow for the next couple of months at different regional creative meetings in Asia and Canada. Cannes Lions gives us an opportunity to assess everything here, and look at the new future trends of marketing. It gives everybody a North Star of where to go – that’s what I’m doing here. That leads to my next question: Share your general views on the state of creativity globally. I think the world needs creativity more than ever. While sitting on the jury in Cannes, we made a list of all the tensions and problems the world is pushing up against. I got to four pages of new global problems the world is facing... Everything from inequality, to climate change, to gun violence – it’s horrific. I think the world has lost faith in authorities and leaders to fix things for them, and they’ve almost taken the power back. This means brands can now occupy a space in the world where they act more as a moral compass for people. Ethics in brands can convert into currency going forward. So the current state of creativity is amazing. With all the convergence of technology and content and entertainment, it's a white space. It’s really, really exciting being a creative right now – to be able to produce long-form content and tech ideas, garnishing data insights and using that as a creative springboard. At TBWA, we work with a methodology called ‘disruption live’, which enables us to plug into cultural conversations daily, and create work against real-time triggers. Creativity these days is not only about ideas and products, it's about the context those ideas show up in, so timing is everything and relevance is everything. Facing the right audience at the right time, with a valuable message that they can engage with is so important. When we last interviewed you back in 2016, you spoke of ‘working at the speed of culture’, which is more relevant than ever before. 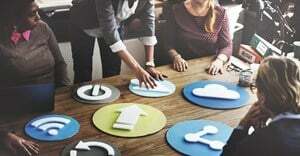 Please elaborate on the future of creativity. That's true. We don't consider other agencies or consultancies as our competition anymore, we consider culture as competition, so the challenge is to cut through culture and show up as a brand in a way that’s newsworthy. 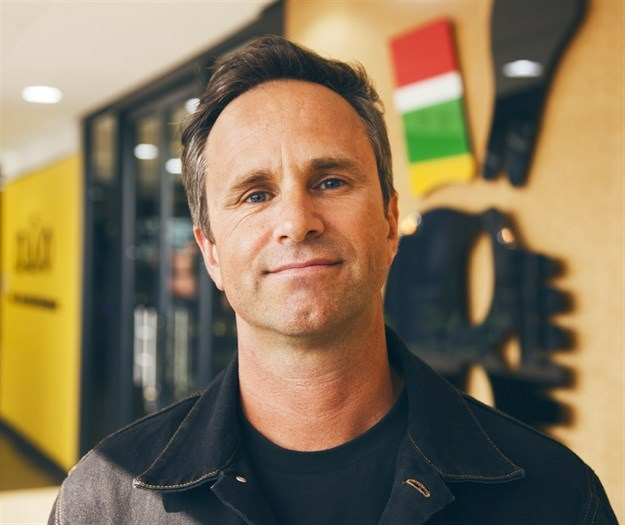 I met with Chris Garbutt, global creative president of TBWA, to talk about the success of TBWA SA at the One Show Awards held in New York City last week.. Attention span is going to be the biggest commodity of the future, to grab that attention. So it's a really exciting time to be a creative and to be involved in this business, because we have to find disruptive ways of cutting through, and be very relevant and very insightful in the moment of how to produce products and work. Some of the biggest themes coming out of Cannes Lions this year were platform-hacking or hackvertising, where brands are hacking culture, as was that of huge integrated campaigns that needed both the agency and the client’s involvement in an holistic way, as seen in ‘Today at Apple’. Experience is the new brand, and at Apple they built retail stores that actually embody the brand and experience of unleashing creativity in the world, training people and holding workshops. Gone are the days of superficial marketing. Brands have to actually behave, believe, act and message their purpose throughout everything they do. It’s an exciting time because it requires a lot of creative listening. We don’t want to be relegated to the ‘advertising agency’ perception out there; we’re sick of this industry being viewed as ‘wounded’. We’re growing, we’re healthy, our clients are growing and we create ‘category of one’ brands. Disruption is such an amazing software or way of work, and that’s anybody’s job in this business creatively: To truly look at category conventions and disrupt them in terms of business ideas, not just creative ideas. And that’s the future. It’s a really exciting time to be in this business. Seems we’re in for a real creative smorgasbord as we head into the final half of the year. Check in on our Loeries Creative Week special section and be sure to follow ‏Garbutt, TBWA\Hunt\Lascaris and TBWA Global on Twitter for the latest updates.